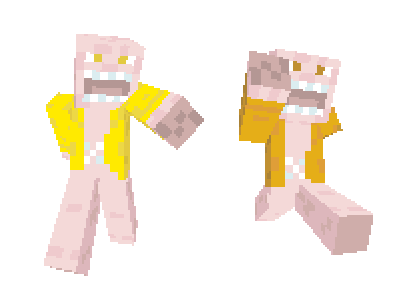 I made some more Minecraft skins. This time, I cubified the creepy shouting twins from Beeserker known as the Sciencemen. Click here to download the yellow one, or click here to download the orange one.